Slow connections, limited bandwidth, intermittent power and the occasional monsoon are just a few of the obstacles to overcome while you’re trying to build a digital health information repository for clinics in rural Uganda. 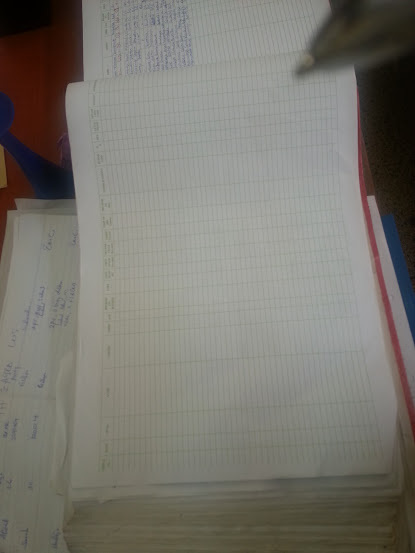 Thick log books are used to record medical data at clinics in rural Uganda. Right now, health data in Kampala, the nation’s capital and largest city, is kept in massive, 11-by-17-inch books at rural clinics and periodically transmitted to the Ministry of Health. It’s a system not all that different from many doctor’s offices in the U.S. that haven’t made the digital migration yet. The difference is, health data in Uganda is a one-way street. The Ministry of Health keeps a record, but they don’t use it as a distributive system—only for data gathering, according to Michelle Rogers, PhD, a health informatics expert and one of eight Drexel University faculty members who visited Kampala for a few weeks in February. The trip was part of Rotary International’s Maternal and Child Healthcare Vocational Training Team (VTT) Project, a partnership with Uganda’s Makerere University College of Health Sciences that began in 2014 in hopes of providing better information and training to healthcare providers in a country where 16 mothers die during childbirth every day. The Drexel team included Rogers’s peers from the College of Computing & Informatics, Deborah Turner, PhD and Christopher Yang, PhD; Owen Montgomery, MD, Gregg Alleyne, MD, Yanick Vibert, DO, Laniece Coleman, DrNP, CNM, and Margaret McMahon, CNM, from Drexel’s College of Medicine and Shannon Marquez, PhD, from Drexel’s Office of International Programs and School of Public Health. 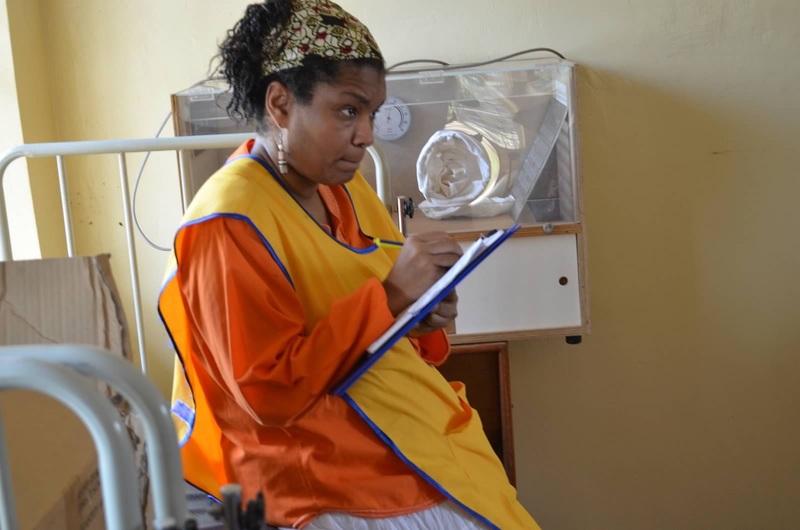 With Rotary International, they initially intended to pass along some obstetrics and gynecology information in the form a few hard drives and some reference materials. But the team quickly realized that three weeks and some hardware wasn’t going to be as helpful as they’d hoped. “We’re looking at an area where there are many private healthcare facilities supported by non-government organizations that are well-funded, quality facilities; but the public hospitals and clinics, that serve many of the people, are not as well supported and face challenges that our healthcare providers in the U.S. haven’t had to deal with in many years,” Rogers said. Michelle Rogers, a health informatics expert in the College of Computing & Informatics, was among the team of Drexel faculty members that traveled to Kampala, Uganda. So instead of just installing hard drives and holding a few lectures and training sessions to distribute the reference materials, the group started plotting a more sustainable solution. 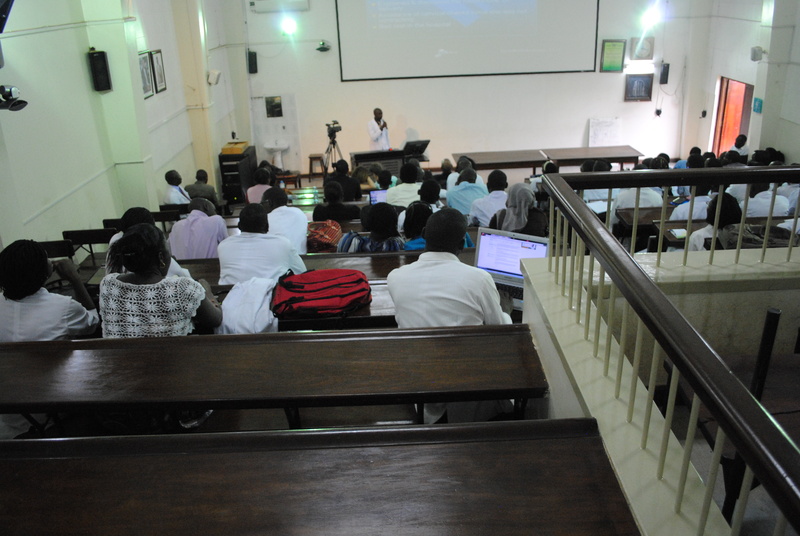 Their plans involved pulling open-access reference material into a central database, training librarians and technicians on how to manage and update it, and building a dependable system distance learning system for physicians, midwives and other clinicians. Working with doctors, nurses, clinicians, librarians and representatives from the Ministry of Health and local Rotary clubs, the team identified the most pressing health information needs and the technology required to deliver and maintain an archive of it. And then came the challenge of making sure that residents stationed at clinics in isolated areas tens of miles away from the hospital, and often without a dependable phone or internet connection, could still access necessary medical reference resources even when they were completely cut-off from the hospital. To deal with this issue, the group provided clinics with laptops pre-loaded with locally saved reference materials and the Global Library of Women’s Medicine. The idea is that eventually they can be brought back to the nearest hospital or medical library for periodic updating. In addition to the laptops, small, rugged portable hotspots, called BRCKs, will be installed to set up an intranet within each of the clinics. The hotspots are designed by a company in Kenya for just such a use—they ­can serve as a hub for local devices and have enough backup power to survive a blackout. Doctors, midwives and medical professionals from Uganda met with representatives from Drexel’s College of Medicine in a “grand rounds” session to discuss cases and share best practices. In similar fashion, a group of Ugandan doctors, nurses, midwives and a technician from Makarere University will make annual visits to Drexel for training on database and video conferencing software. They will also meet with doctors and students at the College of Medicine. The team is slated to return to Kampala in 2016 for the final year of the Rotary VTT program, but hopes to continue the program with additional funding.